Can your credit score be affected by who you live with? As finances continue to be strained for a number of households, an increasing number of consumers are finding themselves turning to credit as a way to cope with financial demands. In order to obtain credit from a lender, you will need to have your credit score evaluated. We are all aware that credit scores can be affected by a number of factors, but is the issue of who you live with one of them? 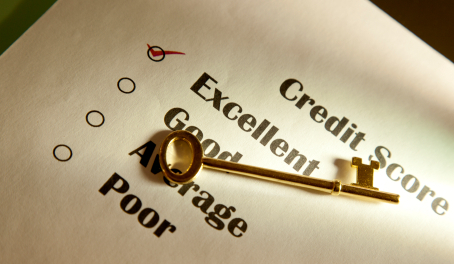 Before you can understand what affects a credit score you must first know what one is. Credit scores are a figure which represents your expected ability to make repayments. The products you have received previously will affect your rating but there is no such thing as a universal credit score. All lenders will evaluate your financial attractiveness based on their own list of criteria and this means your credit score can differ between companies. As stated above, the previous forms of credit or loans you have taken as well as whether you were late with repayments will affect your rating. Of course, these are not the only aspects to affect your rating however. As a general rule, who you live with shouldn’t affect your credit rating or ability to obtain a credit product. Yet, with all rules there are exceptions and under certain circumstances this information could impact upon your financial situation. When can the issue of who you live with affect your credit score? Generally speaking, who you live with will not affect your credit score, unless you are financially linked to them. Individuals who are married and have joint accounts will find that their partner’s situation will be considered even if they are not applying for a joint loan or product. Individuals who are not married could also experience this, and even those who live within a shared house could see the finances of others taken into account if they do not keep everything separate. Even something as small as a joint account for those sharing a flat could see you classed as “co-habiting” and lead lenders to review your credit in relation to the finance of others. Luckily, only two major products are offered as joint products and these are mortgages and bank accounts. This means that, so long as you keep these separate, who you live with will not affect your credit rating. This is because during the application for any credit product, third party information is not obtained. Lenders may enquire about your personal situation – such as whether you have any dependents and whether you are a homeowner – and in this respect, who you live with can have a slight bearing on your credit rating. Additionally, people who you no longer live with can also influence your credit rating on occasions. This typically happens with individuals who have become divorced or separated after sharing a joint back account, for example. In this situation, the financial standing of the other party will continue to affect your credit rating, even though you no longer live together. To avoid this, you will need to write to the credit reference agencies to ask for something as a notice of disassociation. This will mean you are no longer financially associated with the other individual, meaning your credit rating will no longer be affected by them and vice-versa.